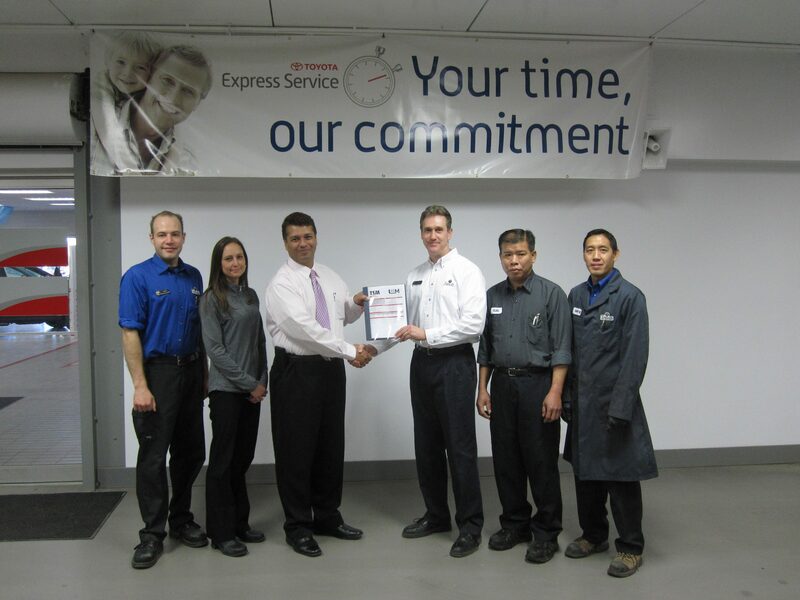 Taylor Toyota is proud to announce that we were the first Toyota Dealer in Saskatchewan that was Certified, offering Express Maintenance Service Plus. Every minute in your busy day counts. That’s why we are offering you our new Express Maintenance Service Plus. This means, in most instances, we will perform your Toyota’s regularly-scheduled maintenance, and more, in just one hour or less. How? Simple. We use 2 technicians that work as a team, to expertly service your Toyota – which gets you on your way in no time at all. Technicians servicing your vehicle will be Toyota trained technicians – Toyota experts who service Toyotas and nothing else. We also use specifically designed tools, equipment and procedures to ensure your vehicle is serviced to Toyota’s exacting standards. The service we provide you will be based on your Toyota’s maintenance schedule according to the Toyota Maintenance Menu – from an Oil and Filter Service to the comprehensive Maintenance Service. Of course, we will use only Toyota Genuine Parts, to maintain the integrity of your vehicle. Talk about convenience. Simply call us to arrange an appointment that suits your schedule. When booking your Express Service Plus appointment, we will confirm that all necessary service can be completed in an hour or less. So make an appointment today – and we’ll have you in and out in no time.